Available for pre-order. Please email sales@singahobby.com for inquiries. With a total of 12 models with adjustments in lens size, frame rates and resolution, there is an optimal option for every user. 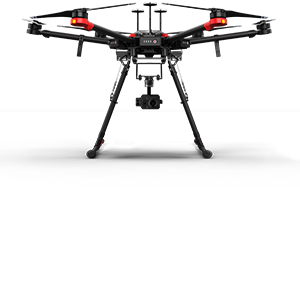 Join the next generation of commercial drone solutions with the XT2. 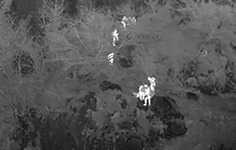 Pairing the FLIR Tau 2 thermal sensor and 4K visual camera with DJI's leading stabilization and machine intelligence technology, the XT2 quickly transforms aerial data into powerful insights that save time, money - and lives. Enabled by a suite of processors and computer vision algorithms, the XT2's onboard Machine Intelligence helps teams identify what's important while on-site, instead of after a lengthy processing time. Temp Alarm - Don't miss a thing with instant notifications when object temperatures exceed pre-sest parameters. Heat Track - Capture the most critical information by automatically locking the XT2 onto the hottest object in view. 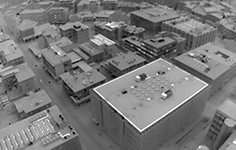 FLIP MSX® - Quickly interpret data with details from the visual image overlaid on the thermal data stream. Temp Check - Tap a point or select an area for real-time temperature measurements. Quick Track - Select an object to lock the XT2 onto it, simplifying missions in complex environments. Isotherms - Focus on a specific temperature band to identify what's important. 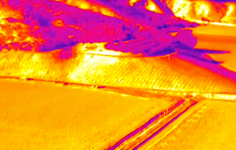 Colour Palettes - Adjust the colors applied to the thermal data to easily interpret what's happening. PiP Options - Optimize how you view the thermal and visual feeds - side by side, overlapping and more. 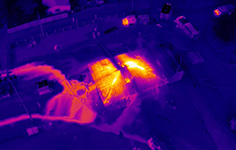 Firefighting - Quickly identify hot spots with the ability to directly overlay thermal data on the visual overview and fine tune isotherm settings. Solar Panels - Locate damaged panels with little effort by adjusting the Temp Alarm settings to notify you of temperatures outside the norm. 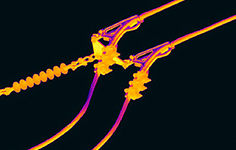 HazMat - Discover if a container is full and identify the substance inside with one image using FLIR MSX. 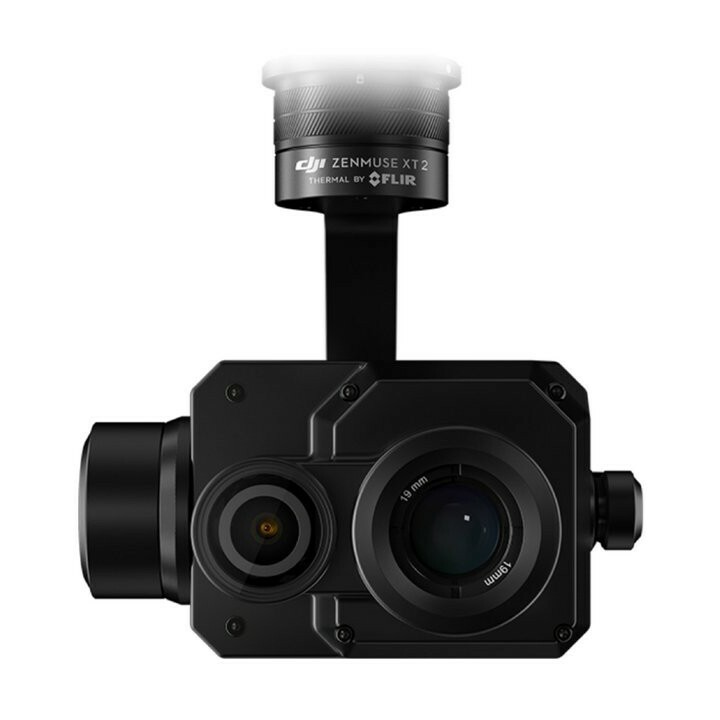 With a quick turn of the wrist the Zenmuse XT2 secures onto DJI's industry-leading M200 Series and M600 Pro drones to provide pilots a direct view and control of this powerful thermal sensor. 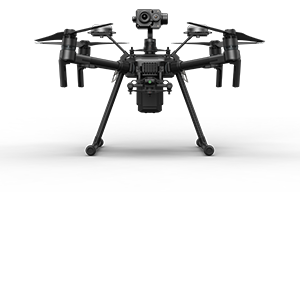 DJI Pilot is a robust Android app developed specifically for enterprise-users to unleash the power of their DJI drones. 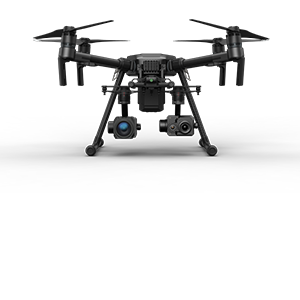 With developmentmedia specifically for the XT2, DJI Pilot optimizes your flight and aerial imaging process. 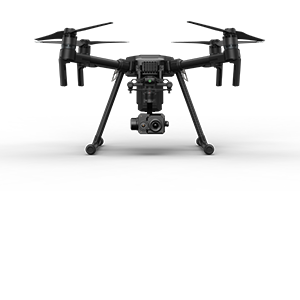 Pairing the FLIR Tau 2 thermal sensor and 4K visual camera with DJI's leading stabilization and machine intelligence technology, the XT2 quickly transforms aerial data into powerful insights that save time, money - and lives.